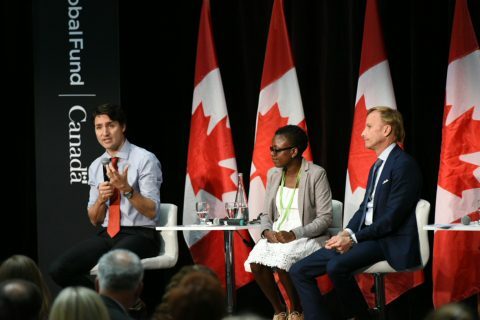 Canadian Prime Minister Justin Trudeau has announced that Canada will pledge CAD785 million to The Global Fund to Fight AIDS, Tuberculosis and Malaria for the next three years: a 20 per cent increase from its previous pledge three years ago. Canada will also host the Fifth Global Fund Replenishment Pledging Conference on 16 September 2016 in Montreal. The investments will significantly contribute to achieving the ultimate goal of saving an additional 8 million lives and averting an additional 300 million new infections by 2019. The SDG target is to end the Tuberculosis, HIV, and Malaria epidemics by 2030. The Netherlands has given priority to supporting the Global Fund since its inception in 2002. From 2014 to 2016, the Netherlands is contributing 185 million euro to the Global Fund. The Global Fund is now asking donor governments to contribute USD 13 billion for the 2017-2019 replenishment cycle. KNCV Tuberculosis Foundation, through its programs financed by the United States Government (USAID) and the Netherlands Government (DGIS), supports countries to make the Global Fund investments work optimally to combat the three major infectious diseases. KNCV helps countries to apply for Global Fund grants through the New Funding Model (NFM) and supports the implementation of Global Fund projects. Download KNCV’s brochure Supporting Global Fund grant applications and implementation.